Know Where You Took That Photo! Use HoudahGeo to geocode and geotag your photos. “Pin” photos to the exact places where they were taken. 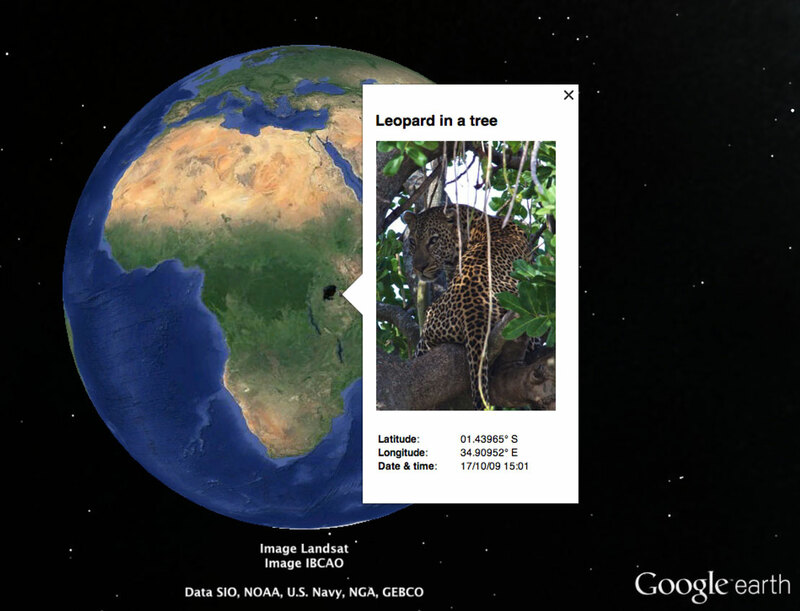 HoudahGeo stores latitude, longitude and altitude as geotags right within the image file. Just like a GPS-enabled camera. HoudahGeo supports many methods of geocoding, ranging from automatic to manual. Use a GPS track log, reference photos taken with iPhone or pick locations on the built-in map. HoudahGeo works with Apple Photos, iPhoto, Aperture, and Adobe Lightroom Classic. 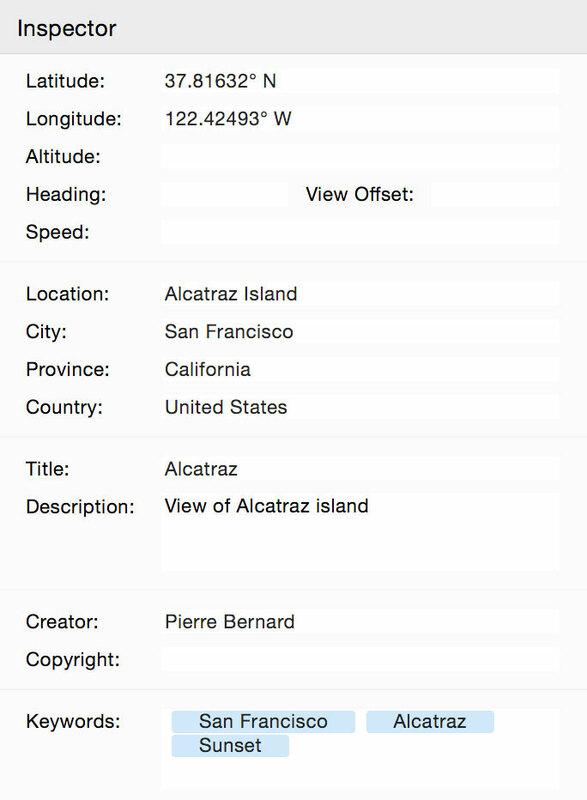 It can notify Apple Photos, iPhoto or Aperture when location information has been updated. Full integration with Apple Photos requires macOS 10.12 Sierra. HoudahGeo can browse your Photos library and add locations to photos. HoudahGeo also adds future-proof geotags to the original image files. Geotags tie your photos to geographical locations. View your photos on a map. 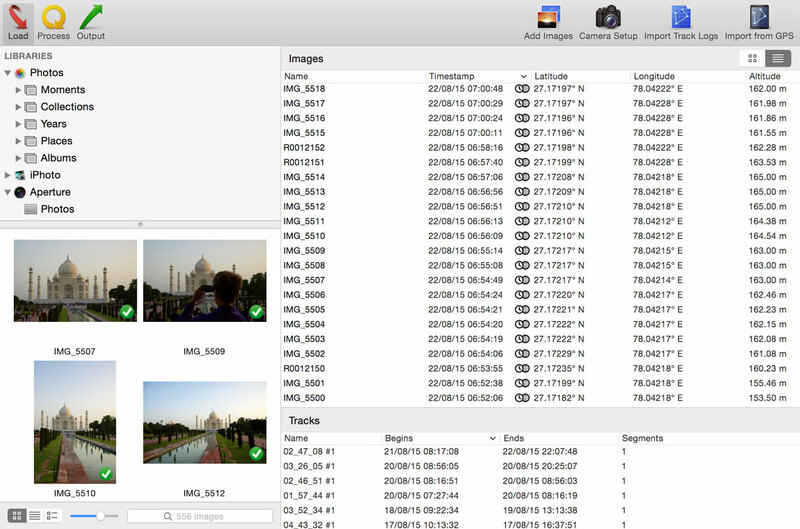 Use your favorite photo cataloging tools to organize and find photos by places. Future-proof your photos with geotags. HoudahGeo writes EXIF, XMP, and IPTC metadata tags to JPEG and RAW image files. Industry standards ensure that the information can be used by a wide variety of software and services. Geotagging is essential for professionals who need to know and show where photos were taken. E.g. to document wildlife migration, locate structure damage, enhance real estate listings, etc. 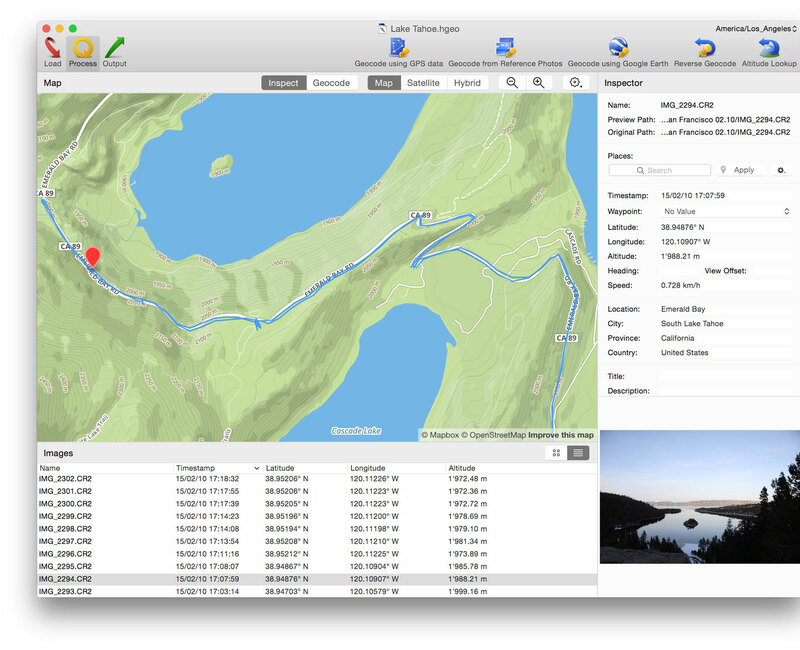 If you use Mac and are serious about geotagging, HoudahGeo is hard to beat. It is very powerful, and I find it to be the most intuitive to use. Easy add missing GPS data longitude and latitude, but also grab city, country, province and other data and write this including IPTC data (like keywords, comments) back to the original files. Does what it's supposed to... Perfectly. Really easy to use. Nice interface. Great costumer support. Use a GPS device, a track logger, or your phone to record a GPS track log. HoudahGeo matches your photos to data points in the track log. HoudahGeo reads many common track log file formats: GPX (GPS Exchange Format), NMEA, Garmin FIT, Wintec TES, etc. HoudahGeo can also connect to a wide variety of GPS devices. Download the trial version to check if your device is supported. Use the built-in map to double-check, adjust, or assign locations to your photos. Drag images to map locations for quick geocoding. HoudahGeo also connects to Google Earth where you can pick locations from the globe. Use your iPhone or GPS-enabled camera to take geotagged reference photos. HoudahGeo uses these to geocode photos taken during the same timeframe. Use HoudahGeo Places to quickly assign coordinates and location names to photos taken at your favorite spots. Start Geotagging Your Photos Today! HoudahGeo saves metadata to industry standard EXIF, XMP, and IPTC metadata tags without recompression or loss of quality. Reverse geocoding fills in city, province and country names. Notify iPhoto or Aperture of updated places information. See your photos set along the path you travelled. 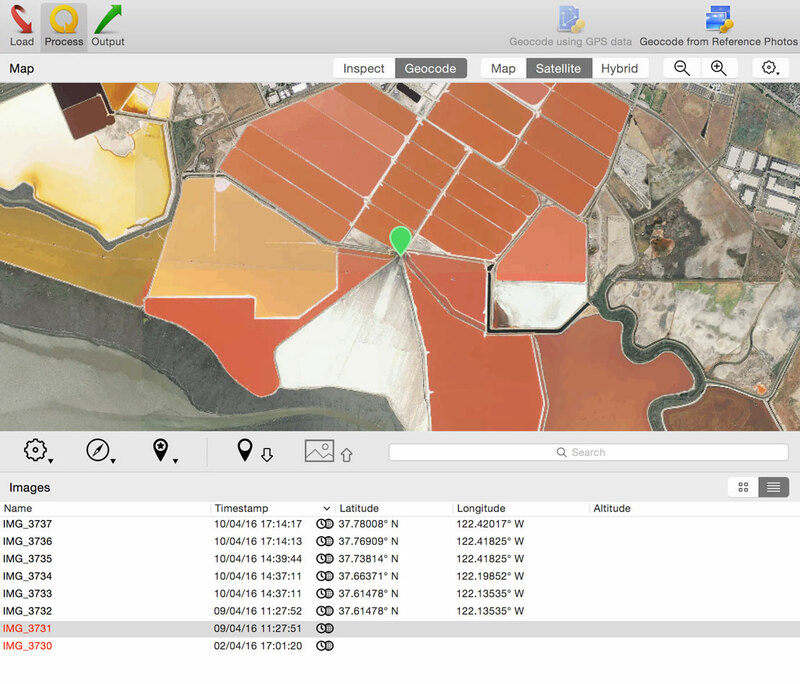 Create KMZ or KML files from GPS tracks and photos. View these using Google Earth or Google Maps. Imagine going on a safari. Return home and see a bird's-eye view of your journey. Locate the exact tree that leopard was perched in. Publish photos and KML files to Dropbox for your friends to view in Google My Maps.